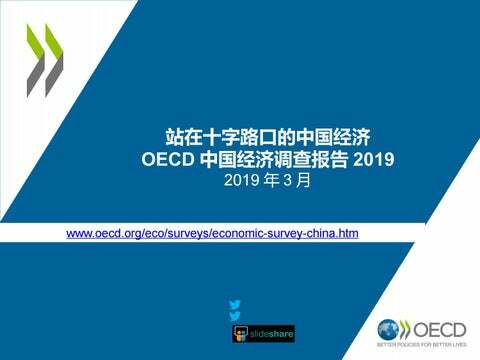 欢迎访问 OECD 经济部博客浏览最新观点： https://oecdecoscope.wordpress.com 欢迎访问 OECD 经济部网站下载该讲稿 : www.oecd.org/eco/surveys/economic-survey-china.htm Disclaimers: The statistical data for Israel are supplied by and under the responsibility of the relevant Israeli authorities. 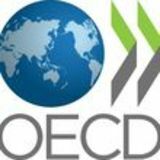 The use of such data by the OECD is without prejudice to the status of the Golan Heights, East Jerusalem and Israeli 43 settlements in the West Bank under the terms of international law. This document and any map included herein are without prejudice to the status of or sovereignty over any territory, to the delimitation of international frontiers and boundaries and to the name of any territory, city or area.